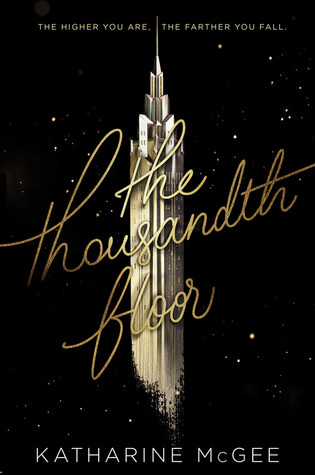 The Thousandth Floor is at the top of my recommendation list for 2016 debuts, so do yourself a favor and get your hands on a copy! You can thank me later. 1) The mindblowing world building. Every aspect of the setting was so well thought out that it felt real. The technology was especially cool! Contact lenses that work like a smartphone, and high-speed trains that take you to across oceans to other continents?! I seriously hope these things become real someday. And a thousand floor skyscraper like The Tower in New York City someday? Yes, please! 2) Although this is a book that is set far into the future, the issues and problems that the characters are dealing with are ones that we can all relate to. They're dealing with jealousy, problems at home, drug abuse, financial troubles, broken hearts, betrayal and more. There were so many things that I could easily relate to that it made the story come alive. They may be fictional characters but they felt real to me. 3) I'm a huge sucker for fictional drama and The Thousandth Floor is rife with it. All of the main characters have known each other for many years, and with that comes a lot of drama and tons of juicy details. To say that I was caught up in all of the romance, secrets, and backstabbing would definitely be an understatement. My favorite is definitely Rylin and her man. I won't say who because that's kind of a spoiler, BUT when you guys read it, feel free to come flail with me. 5) The ending gutted me. 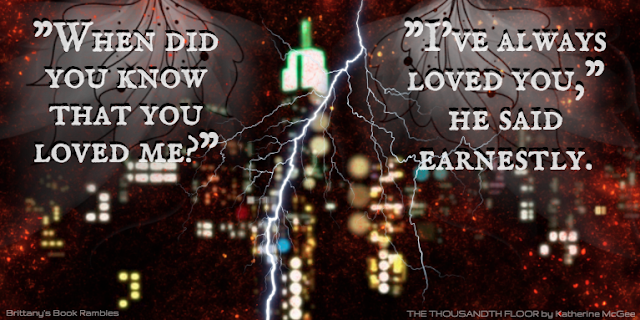 The reader knows the ending of the book from the first page of The Thousandth Floor, so I thought that I was prepared. And yet, I was so, so wrong. I knew it was going to be heartbreaking and yet, I feel like I was ill-prepared. But my favorite part of the ending of this book is that while you feel upset, Katharine leaves you with the hope of vengeance. It's spectacular! 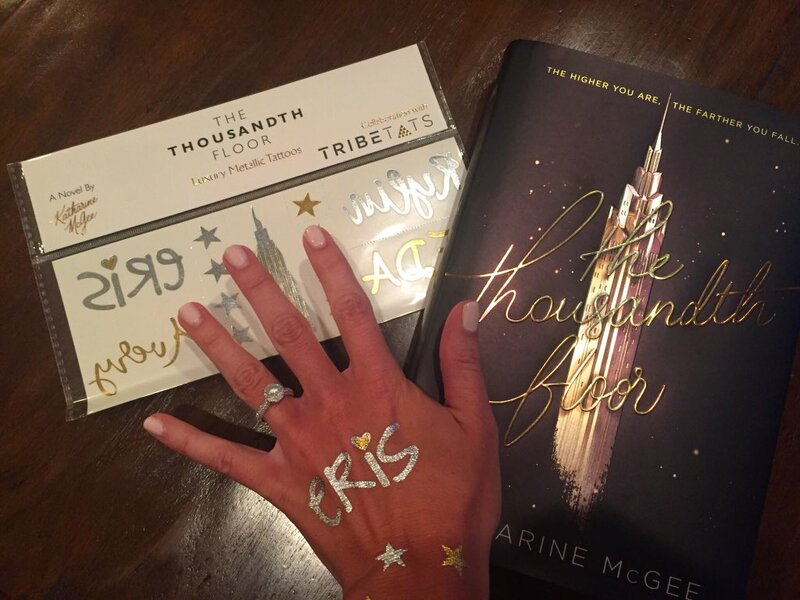 If you guys pre-order The Thousandth Floor through Books of Wonder or Blue Willow Book Shop you will get these awesome tattoos! PLUS, 12 random winners will be selected to win one of these The Thousandth Floor inspired tank tops! 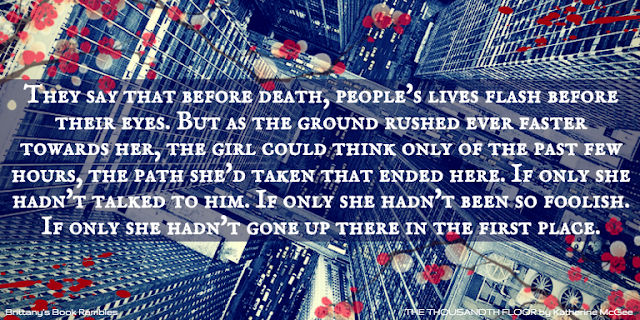 This is the first I'm hearing of The Thousandth Floor and now I can't wait to read it! It sounds amazing! I love that it sounds like a futuristic Gossip Girl! Thanks so much for posting about it! I've heard of TTF before, and I'm so interested in reading it! It indeed sounds like an amazing plot, and addictive you say? Yes please! Very addictive! You need to check out this book! I saw the cover for TTF a while back and loved it!!! The plot sounds so good and your review makes it even sound better. I can't wait to read it. The cover is gorgeous! I'm so glad that my review made this book sound even better because it's awesome. I hope you love it as much as I do! I haven't read this book yet, but from the reviews I've read, the characterization is amazing. I want to read for myself how she developed all of these such different people and made them come alive. I'd love to know that too, her characters are so well-developed and unique. I hope you check out The Thousandth Floor! Have not read it, but it looks good! It's so, so good. Definitely look it up and add it your TBR! This book sounds so good! This futuristic story is so exciting! I would love to read it and know more about the world Katharine created. It is fantastic, you really should check it out. You won't regret it! Believe everything you're hearing because it's awesome! It's my pleasure and I wish you good luck! I haven't read this book yet but wow the premise sounds so amazing. Can't wait to read it. Also, the link to your youtube channel says this channel does not exist. I don't know what I'm doing wrong. Make sure you're signed into youtube when you're subscribing ^_^ And this book is fantastic, I hope you love it! I am very excited for this book! I love the idea behind it! I haven't read yet,but I'm so excited.can't wait to read! Thank you! 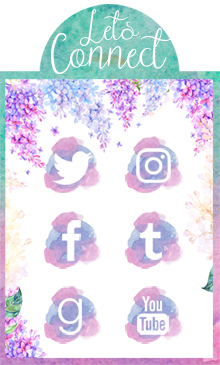 I hope that you enjoy it ^_^ Thanks for stopping by! Thank you! It was an easy one to write because this book is just so awesome. 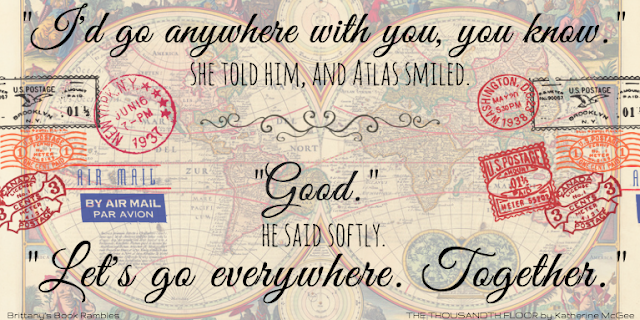 I hope you added it to your TBR! Me too, obviously xD And you're welcome, I wish you good luck! The cover is gorgeous, and I wouldn't count this book out. It may surprise you! Thank you for stopping by, as always! No, I ahven't but that will change asap. I'm so happy I saw your post. I love YA romances. You haven't heard of this book before? You haven't added it to your TBR? Whichever it is, I hope that now that you've seen this post you'll read it because it's wonderful and if you love YA romances, this is for you! Thanks for stopping by! Ahhhh thank you so much for the giveaway!! I've been anticipating this book for months and months!! I'm sorry that you missed the giveaway but I hope you still check out The Thousandth Floor! Thanks for stopping by! I think the reviews are mixed because this book is specifically for people who like shows like Gossip Girl and Pretty Little Liars. I hope you try it for yourself though! Yes, you should! Thank you for your kind words and for stopping by!